Are new forms of 'artificial' meat about to change the food industry? Are new forms of 'artificial' meat about to change the food industry? 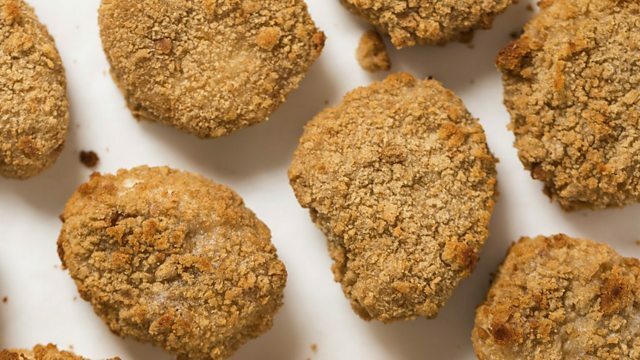 Regan Morris goes to California to taste a chicken nugget its makers hope will be on restaurant menus by the end of this year. Josh Tetrick is the boss of Just - the company behind it. She also hears from Mark Post, the maker of the first lab-grown burger, and Tom Mastrobuoni from Tyson Ventures, the meat processing company that wants to be the world's largest 'protein' company. That's fine but just don't call it "meat" says Lia Biondo from the US Cattlemen's Association.